This is the basic focaccia recipe that I use for every kind of focaccia I make! It’s also the one that my students learn in our Italian breads classes. This focaccia is salty and crispy on the outside and light, airy and just very lightly chewy on the inside. Just the way I like it. It does take a little time, not so much effort, but time. However, in that time, you could go wash your hair, paint your nails, weed the garden, or just put your feet up. With the regulatory glass of wine. The final result of the homemade focaccia is, need I say it, so much better than anything from the supermarket! 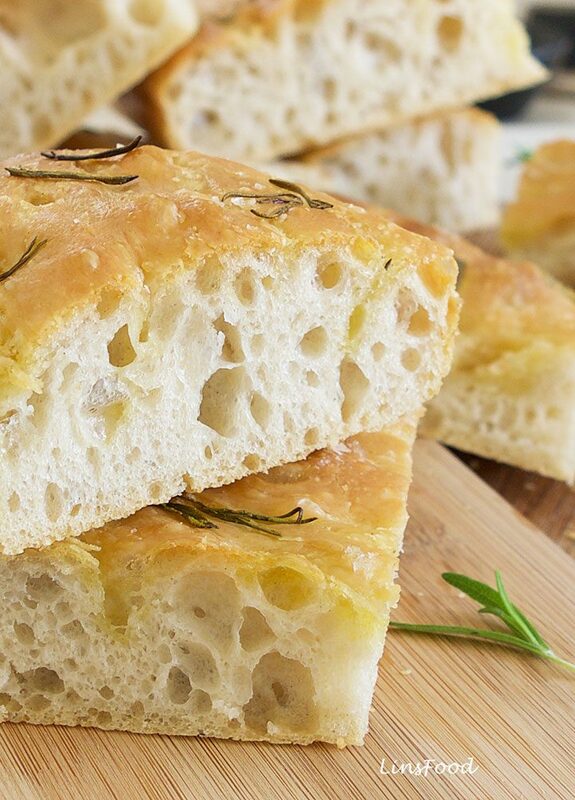 Focaccia is one of many Italian traditions! 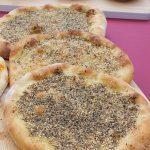 It’s a flatbread made with a generous amount of olive oil, and has a long history. Let me tell you, there isn’t a single, authentic, Italian focaccia recipe! Focaccia is closely associated with Liguria, and specifically, Genoa. But naturally, it is to be found all over Italy. And, it does take on different forms and different names, depending on where you are. Recently, one of my friends, Joy Stewart, who blogs over at The Joyous Kitchen, showed me a picture of a long, thin bread sold at Sullivan Street Bakery in NYC, called schiacciata. The first thing I said was that it resembled focaccia. And the name certainly rang a bell, but for the life of me, I couldn’t recall why or how. That’s how I knew of the name – from the book. Or so I thought! 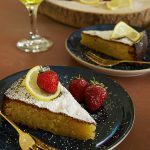 When I mentioned it to my husband later that evening, he was amazed that I couldn’t recall a similar conversation we had in Tuscany some 10 years ago, when we first came across schiacciata. This is the husband who doesn’t remember conversations from the day before. Apparently, we came across various panetterie (bakeries; singular = paneterria) selling focaccia under different names. He couldn’t remember the others but he does remember schiacciata and focaccia. A quick email to a born and bred Tuscan friend the next day, confirmed that fact, and also provided two more names: ciaccino and ciaccia. Yeah, it’s terribly confusing! Depending on where you are in Italy, and who you are talking to, it can mean the same thing, OR NOT! 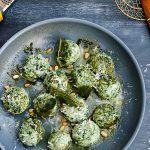 Let’s face it, Italian food is a compilation of a wide range of recipes that existed before the formation of what we know now, as Italy. It is a collection of regional recipes: Milanese, Piedmontese, Tuscan, Roman, etc., rather than one single cuisine. But let’s just talk about the basic focaccia recipe now! So we’ve ascertained that there is no single, or traditional, or authentic focaccia recipe. Or even perfect. One man’s perfect is another man’s erm, imperfect? Imperfection? Flaw? Nightmare? So our basic focaccia recipe takes 2 days. Well, most of that time is hands off. Remember: wash your hair, hoover the house, watch Netflix? Actual hands on time = no more than 30 minutes! A good focaccia, to me, should have a crisp, salty crust and a light, but slightly chewy texture. The mark of a good focaccia is those air pockets you see in the crumb. Just like our Persian flatbread, Barbari. Everything else is extra. Let’s take a look at the individual ingredients. It is all a matter of taste. Some people use regular plain flour, some use “00”, some use bread flour, and some use a mixture of 2 different flours. I like to use bread flour. I’ve tried them all over the years, and have found that bread flour gives the best result in terms of texture, crumb and crust. Having said that, I have been known to change it up and use plain flour. Because change is always good! You never know what you might like a few months or years down the road. While many people are happy to make focaccia with just dry active yeast (or even fresh), I much prefer the overall texture and flavour when making it with biga, poolish or sourdough. I am a big fan of pre ferments. Poolish is French. 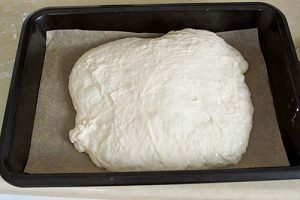 It is a starter, a pre ferment, like the Italian biga. Poolish is pretty wet, compared to the Italian biga, and is made with flour, water and yeast (or sourdough). You mix the 3 things up, leave it aside for anything from 8-16 hours, then make your bread. Poolish usually has the same amount of flour to water, compared to Biga, which has about 60% water. In “bread speak”, that’s 60% hydration. But that’s a whole new post for another day. Using a starter (poolish, biga or sourdough), instead of just straight up yeast, gives you a better tasting bread with a superior texture. Why am I using French poolish instead of Italian biga for an Italian bread? I’ve tried them both, but the poolish consistently gives me a lighter focaccia then when using biga. Really, they are just names for starters. If I find that I am delayed for more than 2 hours the next day, I just place the poolish in the fridge to stop it from maturing any further. If it’s winter time, keep your poolish or biga in the warmest part of the house. The airing cupboard will be rather perfect. 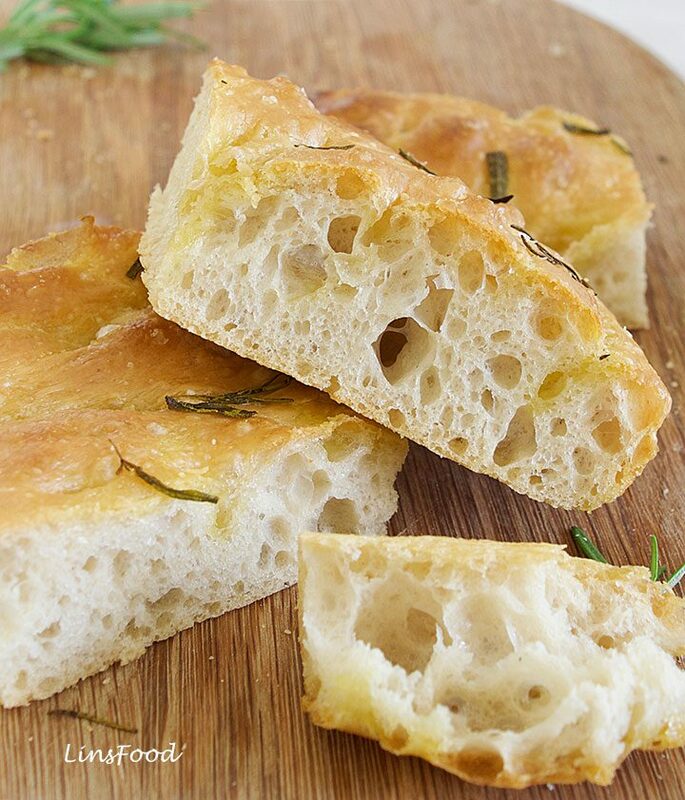 There is no getting away from it – focaccia, like ciabatta, is a very wet dough. This, along with the resting times, is what gives you the texture synonymous with a good focaccia. Given its wet nature, you really, really want a food mixer for it. Can you make focaccia without a food mixer? Yes, but it’s a bit of an effort. You will not get as good a crumb and texture if kneading by hand. Why? Because focaccia is a wet dough. A sticky, wet dough. Kneading it by hand will require anti sticking agents like flour or more oil, which will mess with the recipe ratio. In ancient Rome, and during the Renaissance, it might have been done by hand. Ok, your great grandmother might have kneaded wet dough by hand, but that was before the day of 30 minute dinners, and don’t break a sweat while cooking. If you’ve got the time, and the inclination, by all means. But investing in a small food processor might be an easier option! Use a very good quality extra virgin olive oil, as you will be tasting that oil in your focaccia. Salt flakes are preferable in making focaccia. And here in the UK, the standard is Maldon. Some people will make a paste with olive oil, water and salt to rub over the dough before baking. This creates a translucent layer on the focaccia which is not really to my liking. So I just drizzle olive oil and sprinkle some salt all over. Another popular thing to do is to lightly heat some extra virgin olive oil and flavour it with herbs of your choice: rosemary, oregano, thyme, and also spices. Leave the oil to completely cool, and use this to brush over the dough before baking. Focaccia is best eaten warm, and straight out of the oven. Serve focaccia with any meal, instead of your regular bread. It’s great with salads, stews, soups and curries! You can also slice your focaccia in half and fill it like a sandwich. Look at those air pockets! How long does Focaccia Keep? Keep it in an airtight container and it will last 2 days. While the flavour of the day old focaccia is perfectly delicious, the texture will be different. The crust won’t be as crispy, and will take on the slightly chewy texture of the crumb. You can also freeze focaccia. For both instances, warm it up in a hot oven which will crisp up the crust slightly, or the microwave oven. The latter will not crisp up your focaccia in any shape or form. If you’re planning to dunk your focaccia, that doesn’t really matter, does it? Shall we take a look at the recipe? 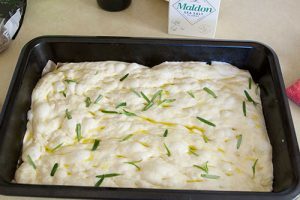 Basic Focaccia Recipe and history and background. Times above do not take into account the overnight poolish time and the resting times of 1 hr 50 minutes. You will need a baking tin measuring about 13" x 9", at least 2" high. 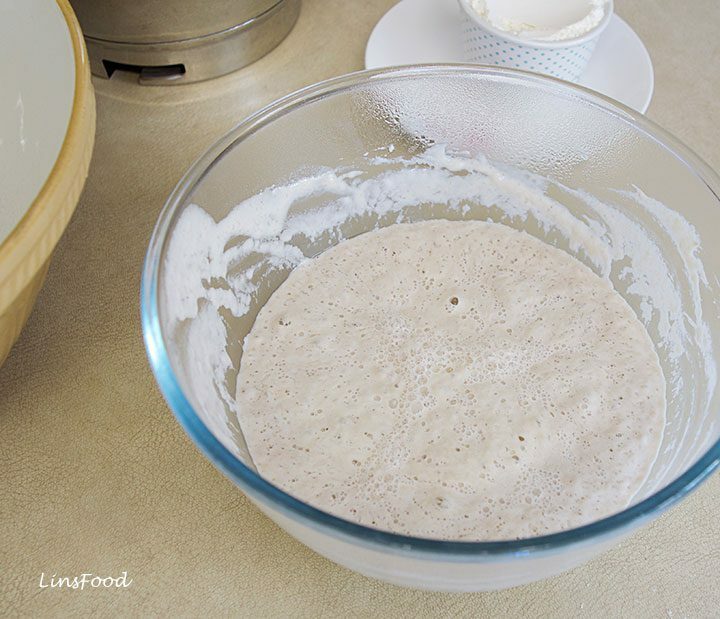 Mix the flour, water and yeast in a roomy bowl and whisk with a wooden spoon to mix well. Cover with clingfilm and leave in the kitchen overnight. If you are not starting about 12 hours after mixing the poolish, place the poolish in the fridge until you need it, but no more than 4 hours. 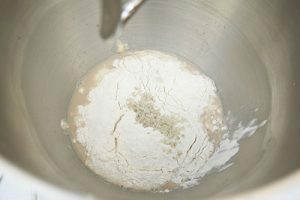 Dissolve the yeast in the water in your mixing bowl, a wooden spoon is best for this, it'll only take 20 seconds or so. Add the poolish, flour, followed by the salt, in that order. 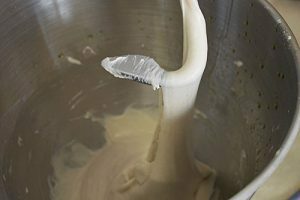 Using a dough hook, mix the ingredients on low until the flour is no longer "flying". Then increase to high (5 on my Titanium Chef) and mix for 8 minutes, until the dough is beginning to pull away from the sides. That means that it is stretching slightly, all around, while sticking to the sides. Scrape down the sides in the fir couple of minutes, if you have to. Lower the speed to low and drizzle in the 4 Tbsp of oil, while the dough hook is still moving. Increase the speed back up to high and mix for 3-5 minutes. At around the 3 minute mark, you will hear loud slapping sounds coming from your food mixer. Go take a look. If the dough is moving around in practically a ball shape, it is done. You can proceed with the next step. 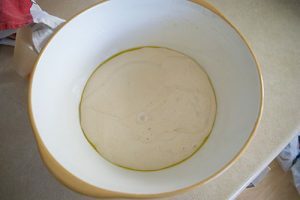 Tip the dough into a large, lightly greased bowl. Use a spatula to help it away from the mixing bowl, it should just come away easily. Cover with a damp tea towel and leave to rest for 1 hour. Line your baking tin with baking paper if it's not non stick. Just in case! When the hour is up, tip the wet, risen dough into the middle of the tin. Lightly cover with clingfilm and leave to rise for 30 minutes. 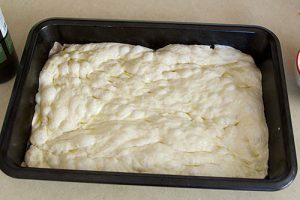 At the end of 30 minutes, drizzle 1 tablespoon of olive oil all over, and push the focaccia dough, starting from the middle, to fit the tin. It should already be almost covering it anyway. Let the dough rest for another 20 minutes. Don't be tempted to pop those bubbles, apart from the ones you naturally touch as you are spreading the dough. We want those bubbles in our bread dough. Preheat the oven to 240˚C/475˚F. At the end of those 20 minutes, using the tip of your fingers, poke your dough all over to create dimples. Don't worry too much if you don't get pronounced dips. Drizzle another 2 tablespoons of olive oil, and scatter the rosemary all over. Finish off with a sprinkle of the salt flakes. Bake on the middle shelf for 25-30 minutes, until the top is a beautiful golden brown and crispy. Take it out of the oven, leave it to rest for 10 minutes, before cutting into squares. Before cutting, you can drizzle the final 2 tablespoons of oil all over, if you like, which will give a wet feel to some part of the focaccia. I do it, but its a matter of taste. PLEASE NOTE: Prep time here is only the hands on time. It does not take into account the overnight wait for the poolish, nor the rest times of 1 hour 50 minutes. Great recipe. I made this focaccia a few times now and it came out exactly like the photos! It is so delicious!!! I cut it in pieces for panini sandwiches. It’s perfect! I freeze them until use, though it doesn’t last more than 2 weeks (I snack on the edges late at night). Thank you for the Best Focaccia Recipe! Hi Dorina, that makes me very happy and a great way to start my day. Thank you so much, I’m glad you love the recipe, and I so appreciate you taking the time to let me know. And I can totally identify with the need to snack on the edges! 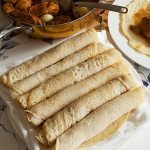 Wow, I don’t think I’ve ever come across an article like this on a food blog! I am very impressed. I have sent you an email about using this in our Italian magazine, with credit back. Hi Giancarlo, thank you, I appreciate that. I’ll take a look. Thank you, Shubha. Let me know how it goes. 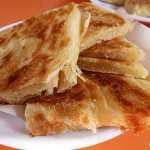 I had one of these at an Italian restaurant near my place but didn’t know its called focaccia. So, many thanks for sharing about it. It looks incredibly delicious in your pictures. Could be perfect for any house-party! This bread looks delicious. I love that the bread is full of herbs and spices. 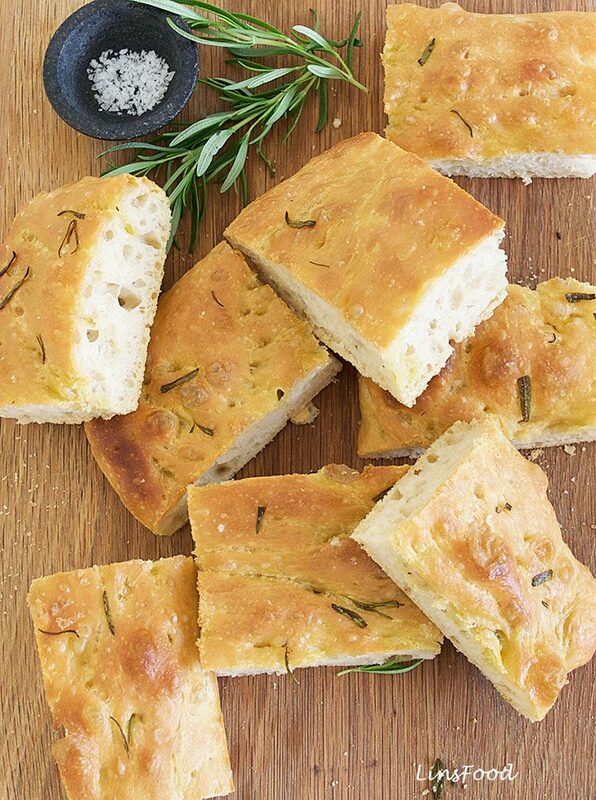 I’ve never tried homemade Basic Focaccia before, but I’d love too. Being Italian and living in Italy, focaccia is clearly in my tradition and every day life. I simply love it, I usually don’t make it from scratch but buy it at my local bakery and put mozzarella, cherry tomatoes and basil on top and put it the oven for a few minutes, it tastes like heaven! 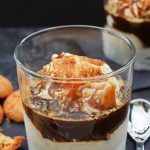 This recipe is really good! I had no idea that focaccia had so many different names! It is very true that Italy was once a bunch of different lands. These recipes existed long before their unification. I love anything Italian bread! 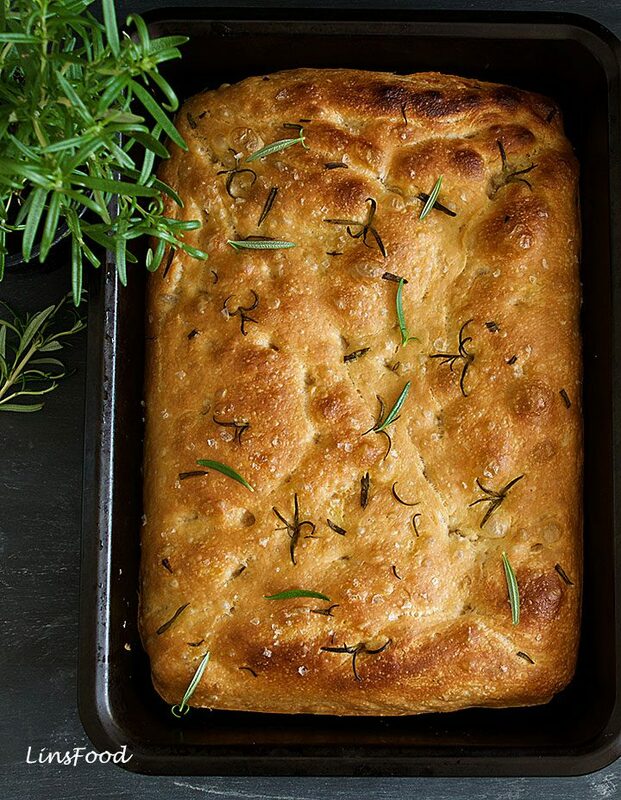 I would make my own homemade olive oil and herbs dipping for this delicious focaccia! I love focaccia and everything Italian. Italian cuisine is quite popular, never heard anybody to say they don`t like it. The dishes seem so simple to cook and the taste, scrumptious !! PS: The conversation with your husband made me laugh so bad. Typical, men like to pretend they really remember things. I love Focaccia bread. Thank you for the recipe as I haven’t tried to make it at home yet. A pleasure, thank you, Autumn. What a great recipe. Never heard of this recipe before but I like the sound of it. Will follow the steps and see if mine turns out like this. 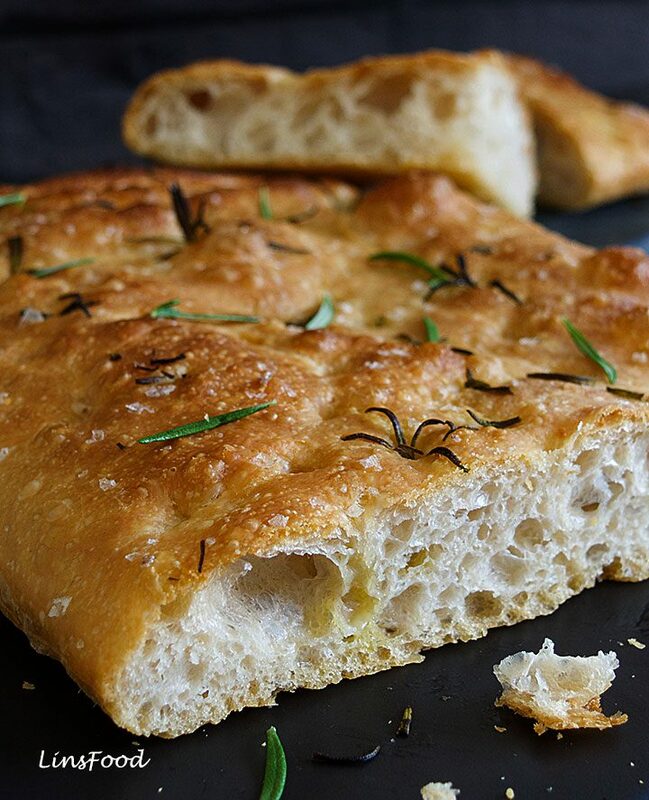 I adore focaccia so this recipe is right up my street indeed! Thanks for sharing this its definitely something I am keen to try out myself. I love Italian kitchen and as a Greek I love to cook. I will give this a try next time I am going to bake! I LOVE focaccia. There is so much you can do with it and it’s a delicious accompaniment to many meals. 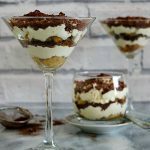 Thank you for these tips and for sharing the recipe. I was not really sure how to keep focaccia fresh. Will make sure to use an airtight container next time.